Ramat Gan's Chief Rabbi discusses Halachic prohibition against charging interest and "heter iska" with Arutz Sheva. If you need a loan, the place to get it is at a gemach, a free loan society, that charges no interest, but may include a “usage fee,” according to Ramat Gan Chief Rabbi Yaakov Ariel. 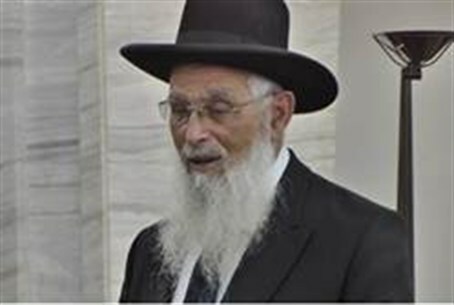 Rabbi Ariel was on the “short list” for Ashkenazic Chief Rabbi, and is considered a scholar of note by religious Jews from both the Religious Zionist and hareidi communties. In an interview with Arutz Sheva, Rabbi Ariel discussed the mechanics of taking loans under Jewish law. According to the Torah, taking interest on loans is forbidden, and there is a good reason for that. However, the Torah realized that there were two sides to the coin – that when a lender gave a loan to a borrower, they did not have use of their own money. While the borrower could use the money to make investments and pursue opportunities, the lender that supplied the money lost out on that chance – and when the Torah forbade “interest,” in the sense that the lender gained from the deal, that is not what it had in mind. While it was forbidden for lenders to take advantage of the distress of those in need with predatory practices, the lender did not have to lose out as well. To resolve this, he said, the Sages came up with a formula called a heter iska, essentially a contract where a Jewish court of law becomes the administrator of a loan and charges a fee for its use. The fee is then transferred to the lender. The heter iska has for generations been accepted as a halachically valid formula for loan administration, but a recent article in the Jewish law journal Techumin questioned its validity – and in response, Rabbi Ariel affirmed the validity of the heter iska. “It's not interest,” he said. “In the same way that the lender cannot take advantage of the borrower, the borrower cannot have more rights to the money – and the opportunities to profit with it – than the lender. Would that not be an injustice? To ensure that money is being lent in the proper spirit and in a halachically valid manner, as a means to provide help to truly provide help, it would be preferable to borrow money from free loan funds whenever possible. Such funds, which collect donations and lend them to those seeking cash, charge a fee for the use of the money using a heter iska – but more importantly, they were lending money in the proper spirit. The last place to get money, on the other hand, is the bank, said Rabbi Ariel. The bank exists strictly to make money for its stockholders, and even if Israeli institutions all have a heter iska, their activities are not within the proper spirit that is needed for lending money. “Banks are fine for commercial activities, but if a household needs to borrow money for a specific purpose they should not be going to the bank. Banks are the economic oxygen for businesses, but others may end up in a chokehold because of them,” he added.